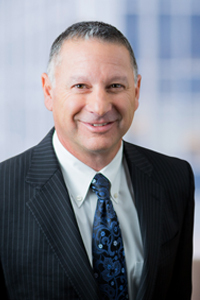 Robert Schwartz is a shareholder and a member of the firm's real estate department. He is recognized as a consummate professional, with notable expertise in real estate, business, corporate, and lending transactions. His client list includes real estate investors and developers, lending institutions, REITS, and other owners, operators, and managers of apartment buildings, office buildings, and shopping centers. Mr. Schwartz's expertise also includes lender's side asset-based and real estate financing, including construction loans and low income housing tax credit related financing. He represents both national and regional lending institutions. A non-profit organization in acquiring and developing a $100,000,000 continuing care retirement community. A private equity group in acquiring 50 small market radio stations in California and Oregon, and the related $50,000,000 financing. An employee benefits company in selling its $15,000,000 business to a national insurance company. National lenders making construction loans to multiple low and moderate income housing projects.